So I have a 92 hatch fully built and boosted. I was wanting to get a bigger intake manifold. I'm currently running a skunk2 pro series intake manifold. I was looking at either a skunk2 Ultra Series IM or Golden Eagle IM. If I upgrade, will I have to tune the car again? There's no point in upgrading if you aren't going to retune to take advantage of it. Yes a retune is absolutely necessary. And the only reason to upgrade is if the entire setup is changing from turbocharger to purpose of car. Otherwise, your wasting your time. Alright, I think I'll hold off on it for now. I appreciate the help! Curious what the goal is? You'll sacrifice whatever low end that D series has for more peak numbers. Yea unless you're trying for SFWD power or something a manifold with a larger plenum and shorter runners is going to kill whatever midrange that D currently has. The Skunk2 pro series is more than enough for 99% of the builds you see. Most people buy overkill **** because it's popular or looks cool to get show points and talking rights with little care or concern for actual performance. Just like the guys you see running 6262 or larger turbochargers that don't even make 500hp. Bigger turbos just look cooler. 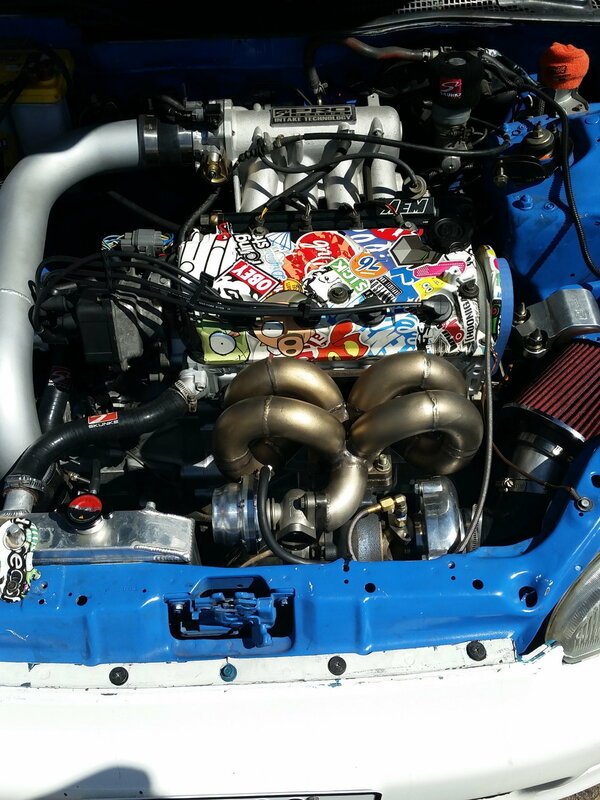 The smallest 3.5l plenum is for applications up to 600hp but on lower power applications it murders midrange. Not to mention that it isn't designed to run small diameter throttle bodies and the B series guys running a 90mm TB on the Ultra have run into drivability issues regardless of power output. Upgrade your Y7 intake manifold for this Y8 intake manifold!!!!! My upgrade... Good upgrade? Bad Upgrade? Bent Valves: Replace or Upgrade (if upgrade, with what) ? ?